Deep scars, superficial wounds which have healed, open again. Scars reddened, become painful, break, open and bleed, often surrounded by purple areola or many small pimples. Scars blood-red, blue and painful. Sepsis causes old scars to reopen with oozing of dark blood. Old scars become red around edges, covered or surrounded by itching vesicles, especially nerve joints or bones. Deep stinging scars on hand after abscess. 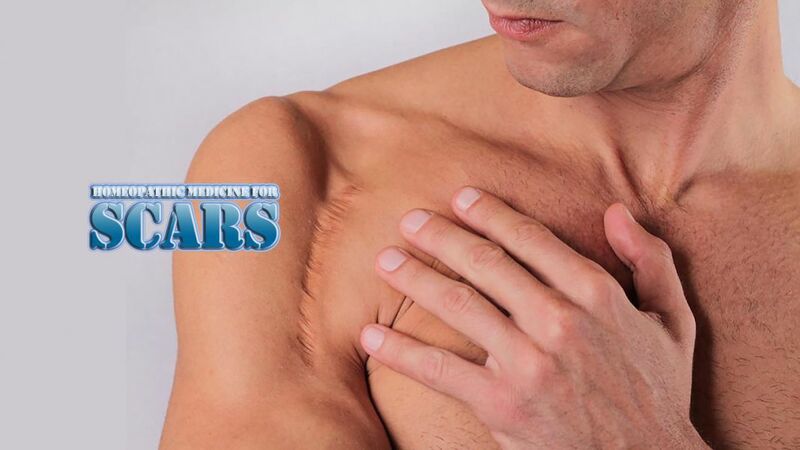 Scars itch, break open or pimples break out on them. Old scars becoming painful in cold weather.